Julia Carter represents a new generation of young global activists. She eschewed the traditional high school-to-college path, choosing to devote two and a half years towards international travel and community service before college. 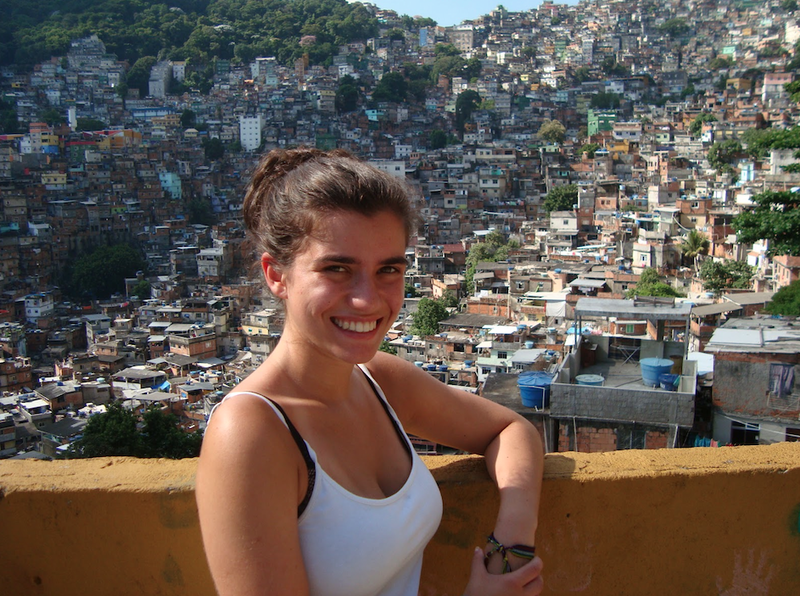 She completed a Semester of Service with our partner organization Cause & Affect Foundation, served as a Fellow for Global Citizen Year in Bahia, Brazil and is currently a City Year Corps member in an inner-city high school in Providence, Rhode Island. She will begin university in fall of 2014. Abstract: The battle to help improve women’s lives is taking place on two levels: on the policy level (such as the UN’s Millenium Development Goals) and on the ground, though local projects and NGOs. The author explores the connection between these two, based on her three years as an adolescent activist in countries such as Guatemala, Brazil and inner-city America. Harnessing the potential of young girls is a stated goal of the MDGs, as helping empower women brightens the future of not only themselves but also their families, communities and countries. Around the world, girls are denied access to contraception, family planning and the ability to hope for a brighter future. In addressing these issues, there are existing organizations that are working towards gender quality by: 1) Educating communities on the potential of young girls; 2) Providing girls with a voice to break generational-cycles, and 3) Making contraception and family planning accessible. Through the works of numerous organizations throughout the world, girls are obtaining a voice and by doing so, the entire world is reaping the positive effects. Keywords: MDG, millenium development goals, empowerment, women, adolescent, cause and affect, global citizen year, city year, girl effect, nike, guatemala, cleft palate, health care, teen pregnancy, family planning, julia carter, adam carter, brazil, favelas, rio de janeiro, community development, bahia, lencois, NGO, contraception, adolescent, contraception, gender equality, women’s rights. Ideas and movements lay the foundation for social change, but in the end, it is the people on the ground that make it happen. As we mark the arrival of International Women’s Day, it is important to ponder upon this year’s theme: Inspiring Change. We can analyze these goals on an abstract level, looking at world-wide statistics and can then look at more local cases to see the progress taking place on the ground. While recent triumphs have allowed women to achieve a much greater degree of equality, a cursory glance at recent statistics show that monumental progress is still needed. Across the globe, 222 million women in developing countries that would like to either delay or stop childbearing do not have the right forms of contraception to do so. In addition, 16 million girls between the ages of 15 to 19 give birth every year – roughly 11% of all births worldwide. Faced with such startling figures, it is hard to know where and how to start tackling such matters. It is due to the severity of these issues that the Millennium Development Goals (MDGs) hold such a high importance towards the development of societies around the world. The MDGs, created by the United Nations in 2002, aim to tackle eight pressings issues plaguing the lives of the world’s poorest. The MDG we are focusing on today is to promote gender equality and empower women around the world. This goal aims to give girls their voice back; a single voice has the potential to change communities and in turn, the world. Ban Ki Moon, the Secretary General of the United Nations, spoke recently at Davos, the socio-economic world summit. During his speech, he spoke on this theme. In his powerful and moving speech, he stressed, “You understand that when we give a girl better health, education and well-being, we see results far beyond that individual. A girl is as valuable to our world as a tree is to a forest. When a tree grows up straight and strong, the whole environment benefits. When a girl grows up straight and strong, her family, her community and even her country can feel the positive effects.” In order to inspire change throughout the world, the key players in that change must be aware of their potential to better the lives of their family, community members and country. The plight of girls is addressed throughout this MDG and it is imperative that we help “Inspire the Change” that is needed throughout the world. The question then is how do we best accomplish this on a local level? With these issues at hand and the mindset to tackle these issues, it is important to zoom in and see what is actually happening on the ground. My recent experiences in the field throughout the Americas has opened my eyes to these pressing women’s issues. For the past three years, I have dedicated my time to assisting and educating young women about the importance of family planning and hoping for a bright future. I graduated high school a semester early in order to travel throughout Guatemala, Panama and Brazil with my brother’s non-profit organization, the Cause & Affect Foundation. During my time in Guatemala, I volunteered at a public welfare hospital where I worked with malnourished babies. In working with these non-profits, I learned that only 5% of Guatemala’s rural poor women use contraception. Through conversations with women, I could see that they have very little hope for a life outside of childbearing or a rosy future. Working on a personal level with the malnourished babies there, a thought sparked in my mind that has followed me throughout my work since: is there anyway to avoid the suffering so many of these babies are sure to face? Most of the babies I worked with were unwanted and abandoned, doomed to a life of suffering and struggle. I could not help but think about the environment that young teenage girls grow up in, trapped in a cycle of unwanted pregnancy at such a young age, doomed to a life of struggle just like the babies I worked with. With the inspiration to do something to help prevent girls from falling into that cycle and to learn more about the developing world, I took a gap year between high school and college by working with Global Citizen Year, a yearlong program that places recent high school graduates into developing countries in order to create the next generation of global leaders. Through this program, I had the opportunity to live in the northeastern part of Brazil in a state called Bahia. I lived in the interior of the state in a small town called Lençóis. For seven months, I volunteered at a local children’s community center that allows the kids of Lençóis to channel their emotional expression through different forms of art. The project keeps the kids off the street and provides a nurturing environment for them to learn about their culture. While in Brazil, I was chosen by Global Citizen Year to be a representative for a Nike-sponsored initiative called The Girl Effect, which aims to harness the potential of young girls around the world and educate them on the potential they have to change their communities and pull their families out of poverty. 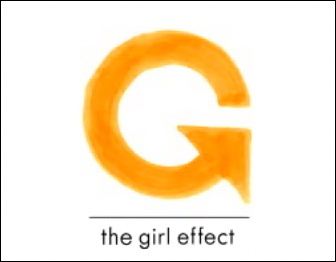 Due to my continued desire to help impoverished women work towards a brighter future, I became interested and motivated by the mission of The Girl Effect to improve girls’ lives. One of the wonderful components of The Girl Effect is their hands-on approach to making the lives of girls better. The work that they are doing towards family planning aligns itself perfectly with the work that I did while in Brazil. Out of the 120 million women that Girl Effect aims to provide Family Planning to, 26 million of them are adolescents without access to contraception. This huge number of females represents a challenge that The Girl Effect sees an opportunity. That opportunity is called “the ripple,” a situation where family planning can have a huge effect, “rippling” through the inter-generational cycles of poverty. By simply reducing unwanted teen pregnancy, the theory goes, the entrenched system of poverty can also be broken, building stronger and more sustainable economies. A good example of their work in the field comes from Ethiopia, where 20% girls are married before the age of eighteen. In light of this issue, six years ago, a program was introduced called Berhane Hewan (Light for Eve). Sponsored by the Ethiopian Government, the United Nations Populations Fund and the Population Council, this program sought to encourage people to talk about the importance of keeping girls in school. The impact of this program has delayed the marriage of 10,000 girls in Ethiopia, allowing those 10,000 girls to make an impact on their community and have the opportunity to believe in a bright future! I was not able to reach 10,000 girls, but I did have the opportunity to reach out to a high school class of forty Brazilian girls and boys. After becoming immersed within the culture of Brazil and having the chance to see all the beauty and flaws that are intertwined within their culture, I was able to detect an issue at hand. While in a lot of countries, the issue for women is that they do not have access to family planning and contraception, that was not the case in my town. In Lençóis, contraception and family planning is provided for free at every health clinic. The issue is that even though this contraception is available, teenagers are not aware that it is accessible. Throughout my time, I visited four health clinics and spoke to various nurses about the issue of teenage pregnancy. I asked them: if there is so much accessible contraception, why are so many girls getting pregnant? They answered that many did know the contraception was available, but many others just chose not to use it. A problem that plagued the town was how young girls were being manipulated by their boyfriends who told them that in order to prove they loved them, they had to have their babies. The mentality that a girl has to do something so drastic and life-changing to please a boy is a troubling mindset impregnated into their culture. Along with that, I noticed a trend that many of the girls in my town look at themselves with little self-respect, walking around in tight, revealing clothes and treating their bodies and lives with little dignity. In order to address these aspects of Brazilian society and incorporate the values of Girl Effect, I delivered a presentation to a group of high school students about the importance of maintaining respect for yourself and others. I partnered up with a local nurse who gave a presentation on the contraception available to them. I encouraged them to use these tools and spoke about how important it is to dream for a brighter future and expect more out of yourself than having babies. Together, we spoke about how in order for them to receive respect, they must respect themselves first. The presentation, delivered entirely in Portuguese, inspired meaningful conversations between the high school students and sparked the realization amongst their teachers in attendance that many of their students are not fully grasping their own potential. Though the speech was far the most nerve-racking experience of my life, it was also one of the most rewarding. Not only was I able to learn about the Brazilian culture throughout my experience, but I also had the opportunity to learn that the things that are happening to Brazilian adolescents do not stray too far from what is happening to American kids of the same age. Eager to learn more about the comparisons and contrasts between the two societies, I decided to take another gap year in order to volunteer in an inner city public school. 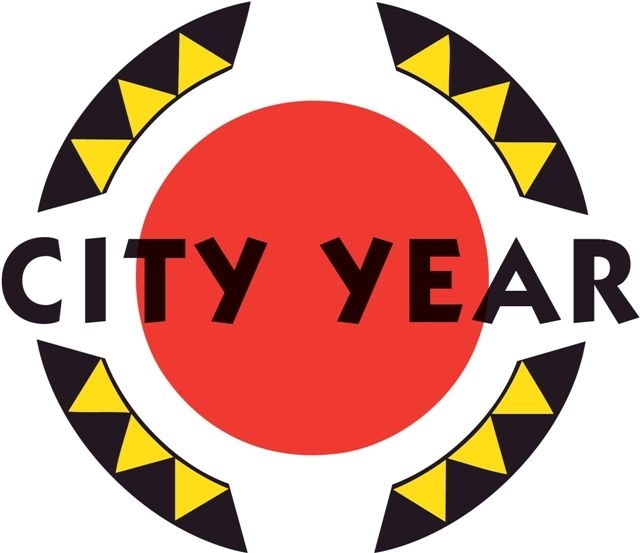 I am currently serving as a City Year Corp Member in Providence Rhode Island in a 7th grade math classroom. In the after school space, I help run a program called Girl Talk, which is aimed to be a safe space for young girls (sixth through eighth grade) to discuss the obstacles they face in school and in society. We aim to inspire the girls to aim for a bright and hopeful future through discussion-based sessions. One thing that I have learned throughout all my travels and volunteering is that the small things can make the biggest impact. Even though Girl Talk only reaches the minds of thirty girls, those thirty girls have the potential to change generations of lost potential. A movement can start with just one girl who decides to change her fate and believes in inspiring a broader change. The MDGs on one level, are abstract and quite visionary, but each of those goals point out a struggle that is happening on the ground and effecting the lives of millions. The success of the MDGs is dependent upon organizations like The Girl Effect and Girl Talk where girls’ around the world are being educated on the potential that their lives hold. Women around the world are gaining their rights and proving that they can break generations of oppression and poverty. While a long road stands between us and the success of the MDGs, it is imperative that we maintain the mindset of inspiring change and continue to push forward. The Millenium Development Goals may sound like abstract ideas, but there is an army of activists, teachers, therapists and policy-makers committed to improving the lives of girls and women. Now that I have spent a few years on the front lines, I look forward to participating in the struggle towards equality.